As cities grow, so too does their carbon footprint. Or so it seems. But in an effort to combat the changes brought about by civilization, Canadian cities have, one by one, pledged to reduce or divert as much waste as possible by 2020. But how are they doing? What kinds of challenges do they face? We took a closer look at two major cities, Toronto and Vancouver, to see how they’re making progress. So far, according to the latest updates, the city’s on track to meet or exceed most of its targets. Since 2007, it has decreased solid waste sent to landfills by 23%, decreased the number of kilometres driven by people in vehicles by 27%, increased trips made by walking, cycling or transit by 50%, and more. It hasn’t met every target, but the improvements have been marked enough to call the program a success. Those goals that remain just out of reach are now becoming the focus of new initiatives, and the city council has been adding ambitious new policies to the program (for example, requiring all buildings to be emissions-free by 2030). Success: between 1990 and 2013, the city’s greenhouse gas emissions fell 24%. Challenges: progress has slowed in recent years, and between 2012 and 2013, emissions actually rose — including emissions from waste management. In terms of solid waste diversion, Toronto’s ultimate goal is to reduce the amount of waste sent to landfills by 70%. Over half of the city’s residents live in multi-family homes — a segment of the population that has struggled to meet the waste diversion goal. Only 27% of the waste from multi-family buildings is composted or recycled, compared to 65% of the waste from single-family residences. While some critics argue legislation is the way to compliance, the City has chosen to start with education and good-natured competition — Mayor John Tory recently announced a contest to find the “greenest building” in Toronto, a title awarded to the multi-family complex that reduces waste most substantially. What’s the future for these two cities? Both are taking their climate change policies seriously and amending plans based on performance, rather than strictly adhering to plans laid out nearly a decade ago. Both are looking beyond 2020 to a future that requires further innovation to become or remain leaders in sustainability. Every city can probably learn from these two. Their challenges are not unique. 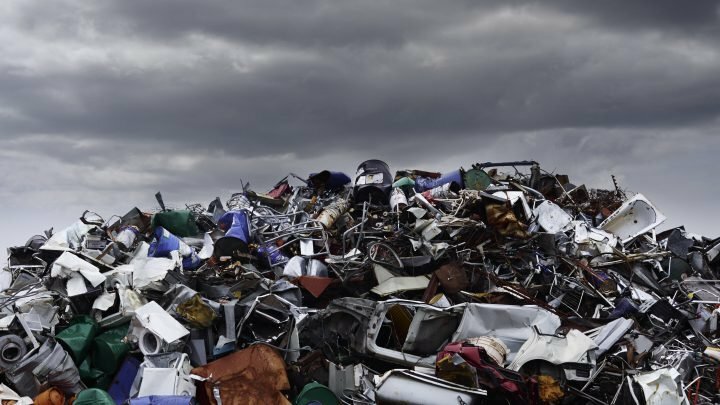 Education and compliance are key to the success of any waste reduction program, and governments need to be innovative in their attempts to reach citizens and make them care about the issues. Why not just penalize people for not participating? Many feel that making waste reduction programs mandatory isn’t a great way to increase public engagement or ensure compliance. They’re also costly and complicated to enforce. So cities like Toronto and Vancouver put their investments in other areas, like making recycling easier for the average citizen, and hope the practice will become second nature. What do you think makes a successful waste reduction program? Share your thoughts.